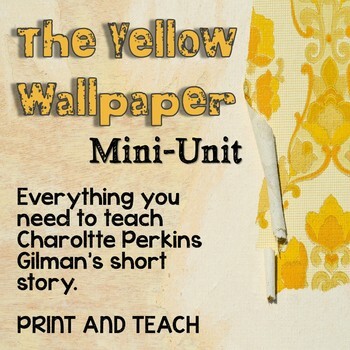 “The Yellow Wallpaper Mini-Unit” is perfect for teaching students to analyze literature in a meaningful way. All of the prep work and thinking has been done for you. This truly is a print-and-go resource. 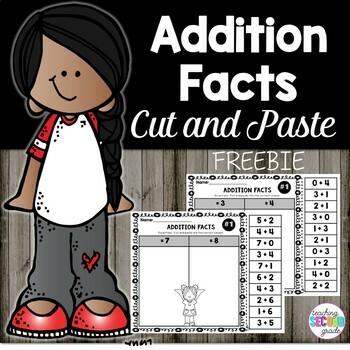 The mini-unit includes 5 lesson plans, an interactive PowerPoint presentation to introduce the story’s historical context, student activities, as well as a detailed answer key. The mini-unit also includes a creative writing piece which allows students to play around with voice and situate themselves within the context of the times. This lesson is suitable for grades 9 to 12. 60 pages and 19 slides total in this unit. The PowerPoint is an interactive presentation with information about the author, the context of the time, notes on feminist literature and its history, information about Weir Mitchell and the rest cure, experts form François Poullain de la Barre’s “The Woman as Good as the Man, and an excerpt from Jean-Jacques Rousseau’s “Émile, or On Education” to help students understand women’s frustrations and the want for change. The Lesson Plans contain 5 comprehensive lessons, which fully explore this work’s mastery and teaches students to think critically by annotating the work. The lesson plans include journal topics, class discussions, and exit tickets, as well as learning goals for each lesson for students to fully grasp the importance of this work. The student Activities include an activity on symbolism, an activity on theme, a tutorial on how to develop themes in paragraph form (this is an important skill for ELA students), an example of a developed theme, and a paragraph organizer. · One evaluation is a creative writing assignment where students assume the voice of a man during the 1890’s responding to Mary Wollstonecraft’s views on women’s rights. A comprehensive answer key is provided for all work. Please see the preview for a more visual explanation.